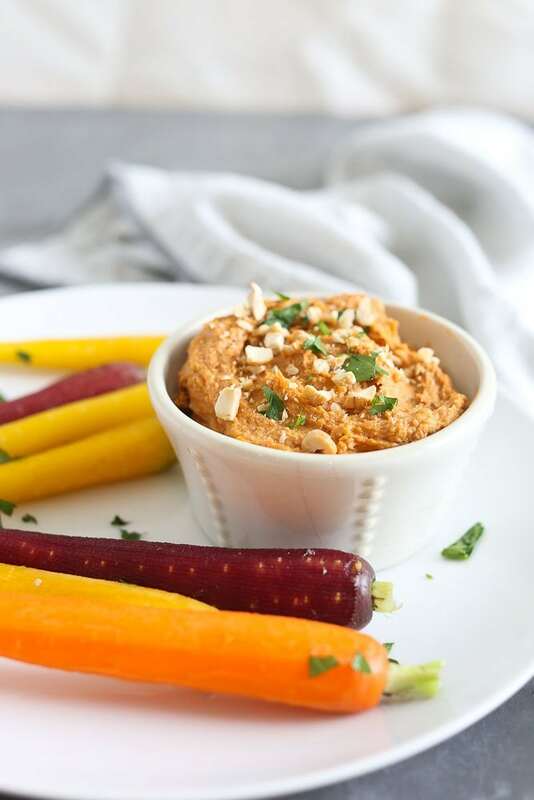 This Smoky Sun-Dried Tomato Cashew Dip is dairy-free (vegan), Paleo, and full of addicting flavor! This dip has so many of my favorite things going on. First, even though someone might assume it’s a cream cheese based dip, it’s not. There’s no dairy to be found in this rich dip. Instead, it’s made with soaked cashews as the base. It’s also got sun-dried tomatoes that I’ve loved since they were big in the early 90s and never stopped loving them no matter how fall out of food fashion they fell. Finally, it’s got that smoky flavor that I just adore thanks to just a touch of smoked paprika. Smoked paprika has been a staple in my kitchen for years and I love the way to can transform the flavor of a dish with a small pinch. You’ll notice that this Smoky Sun-Dried Tomato Cashew Dip is a fairly thick dip. It also doubles as a spread that’s wonderful on crackers or sandwiches. 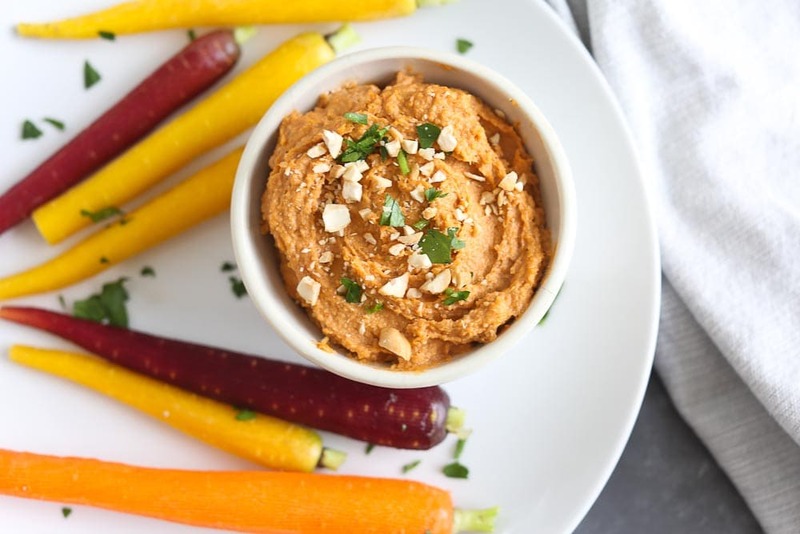 If you want to make it a thinner dip, however, just cut back on the amount of cashews you use. You could go back to even 1 cup depending on the level of thinness you’re going for. Keep the rest of the ingredients the same. I should also mention that the longer you soak your cashews, the smoother your dip/spread will be. The pictures reflect a quick soak of only 30 minutes in hot water. 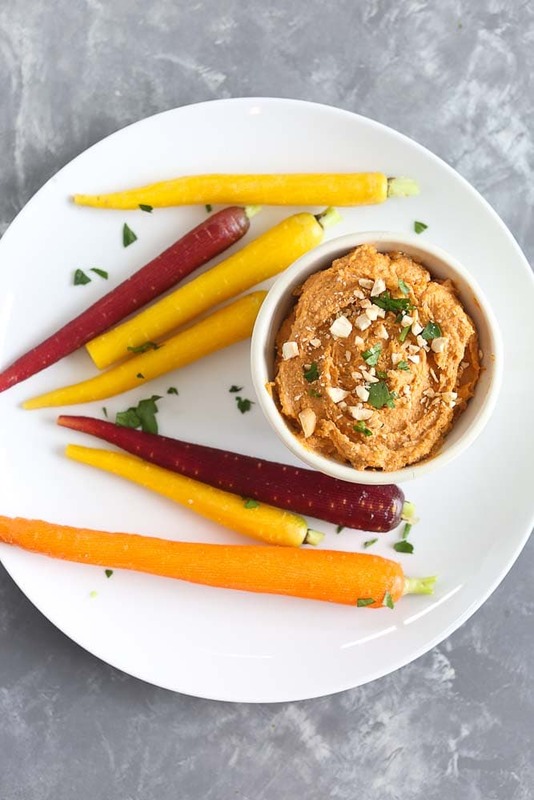 Whether you make this dip for your next gathering of friends (aka a party…) or as a dip to have on hand to encourage more vegetable-eating, just make it. You’ll love it! 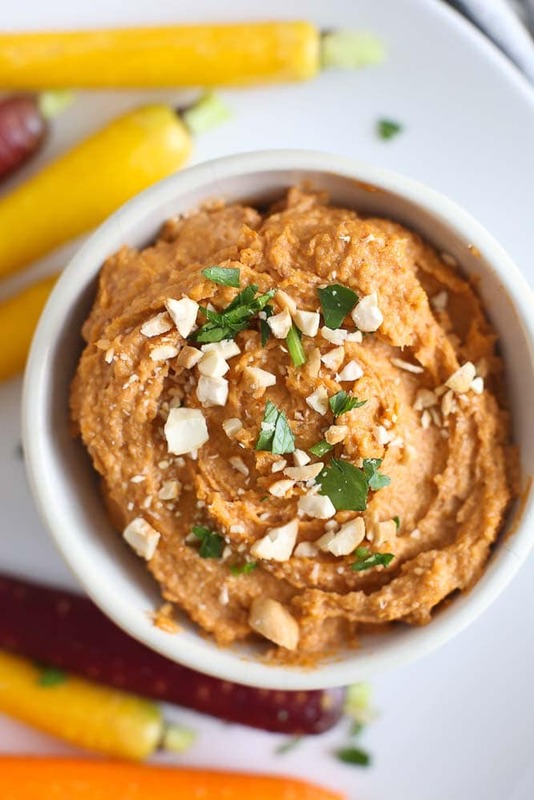 This Smoky Sun-Dried Tomato Cashew Dip is complex in flavor and a crowd-pleaser! It’s a vegan and Paleo appetizer. Soak your cashews for 3-4 hours or overnight. Alternatively, do a quick soak by boiling water, then removing it from the heat and soaking the cashews in the hot water for at least 15 minutes. Drain the cashews before proceeding with the recipe. Add water, starting with a few tablespoons, and blend. Add more water until it reaches your desired consistency. This recipe sounds great, but could it possibly be 660 calories per serving? Or is it 660 calories for the entire bowl? It shows that it makes 4 servings. At 660 calories per serving, a small bowl of this dip tanks out at a whopping 2,640 calories. That’s not happy or healthy. Thanks for clarifying…. Where are you seeing the nutritional information you are referencing? Those are not accurate for a serving or the entire thing, and I’m not sure what you’re seeing. This recipe is meant to be an appetizer or snack dip, and serves 6-8. The calories per serving is between 210-280. Hope this helps! Hi is this with raw cashews?